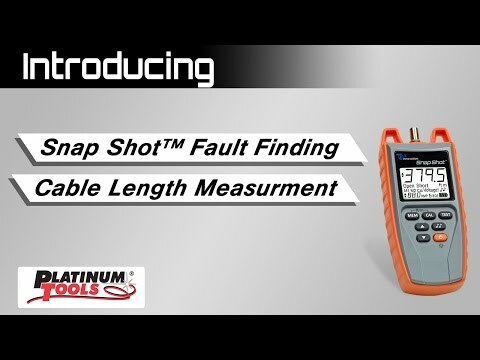 When you need to accurately find the length of any cable; a short, a break or an open fault in a very long cable; a cable that is buried or a cable that is energized, look no further than the Snap Shot. With Advanced Spread Spectrum TDR (SSTDR) technology the Snap Shot works in all wire environments and is immune to voltage, current or data stream disruptions. Measure cable lengths and faults up to 3000 feet in environments where electrical noise, current and power can render your other testers ineffective or inaccurate. 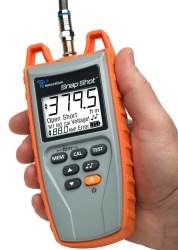 See the true picture of your wiring and cable systems with Snap Shot™ today.